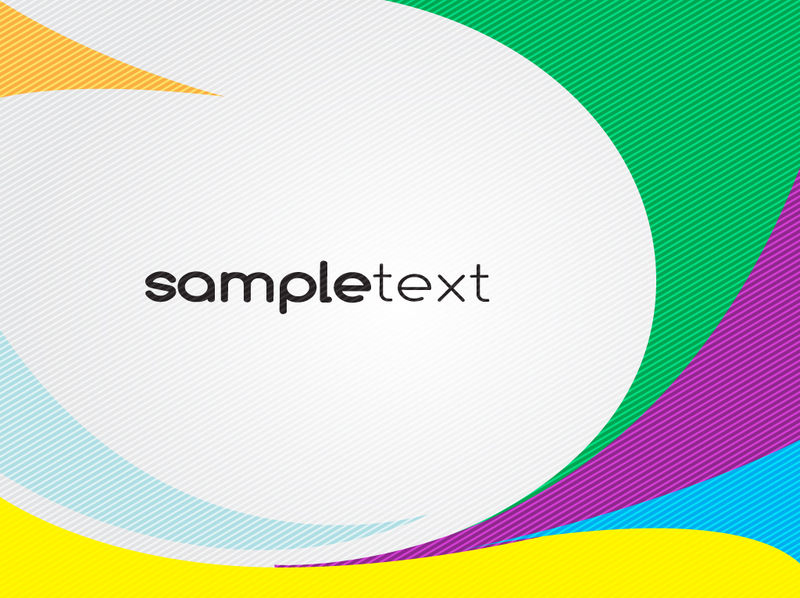 Colorful vector layout with rounded design shapes in orange, green, purple, cyan blue, yellow and sky blue. Light gray gradient vector background with diagonal stripe pattern and colorful shapes swirling around the center. Sample text is laid out in the center for design inspiration. The free download features simple vector graphics in a clever composition and well-balanced layout that shows motion, color and texture. Tags: Branding, Card, Colorful, Copy Space, Dtp, Layout, Sample Text, Shapes, Spiral.